All of a sudden, there is genuine momentum around Africa’s legal-tech space, with Nigerian startup DIYlaw at the forefront of the movement. Much of this momentum has been encouraged by one company, non-profit legal research and advisory firm HiiL. The company recently launched its Innovating Justice Hub in Lagos, Nigeria, providing a working space for entrepreneurs and technology innovators to meet and find solutions to issues surrounding justice in West Africa. 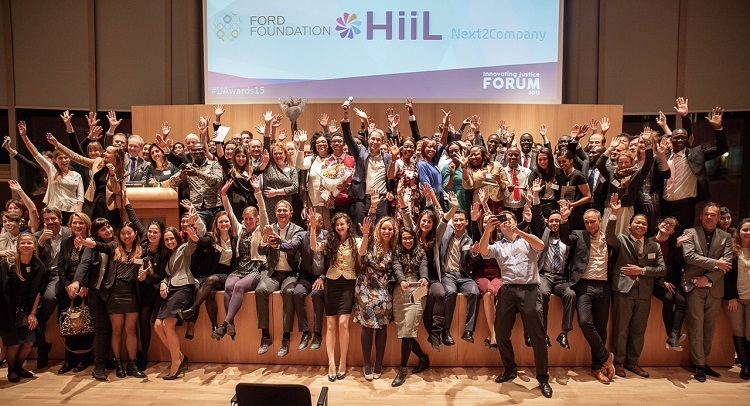 HiiL is also exploring establishing a similar hub in Nairobi, Kenya, and recently held its SME Empowerment Innovation Challenge for East and West Africa. The challenge was won by DIYlaw, with the startup walking away with US$40,000 in prize money. The startup, which is currently in beta and being incubated at the Innovating Justice Hub in Lagos, is looking to increase access to legal services for all Africans, starting with Nigeria. It offers DIY Registrations, which automates business-related registration processes, and DIY Documents, which automates business and personal legal documents. Co-founder Odunoluwa Longe told Disrupt Africa the startup would this year also roll out DIY Resources, a free, online, easy to understand resources platform, and DIY Engage, a directory, classification and lead generation platform for lawyers. The founding team has a background in the legal sector, with Longe and fellow co-founder Funkola Odeleye running The Longe Practice LP, an entrepreneur-focused law firm that represents many Nigerian tech startups. Longe said they had realised they could use technology to make legal services easier to access for entrepreneurs in Africa. DIYlaw aims to tackle the lack of efficiency and accessibility in the legal industry, by providing quality legal services at affordable prices. “Globally, the legal industry is a conservative one. Our aim is to use technology to make legal services more efficient, available and affordable to as many people as need it in Africa,” Longe said. In spite of this, she said traditional law firms are not competition to DIYlaw. “They are actually a very integral part of our business model as the services on DIYlaw are delivered in collaboration with law firms. We provide the technology platform, and project manage the process to ensure quality and efficiency,” Longe said. The startup has been bootstrapped from the beginning, with the founders pooling their personal funds. The cash prize and acceleration support from HiiL has proven vital to its development. “It’s early days for us and it’s been a learning experience all the way. We face the same difficulties all startups are faced with, customer acquisition being at the forefront currently,” Longe said. Uptake so far has been positive, however, with Longe saying revenues so far have been impressive given how young the startup is. “We’re not doing badly for a young business. It’s too early in the business to talk about profits, we are just a few days above six months old,” she said. Nigeria may be the startup’s home currently, but Longe and he rest of the team have big plans for DIYlaw.